The Seniors College has touched the lives of many since its beginnings in 1997. Now, almost 20 years later it's still going strong and continuing to improve! Take a look at our timeline below to see how we've elvolved. The First Seniors College Board. Front Row: Dale Mattock, Ron Irving, Olive Bryanton, Bruce Garrity. 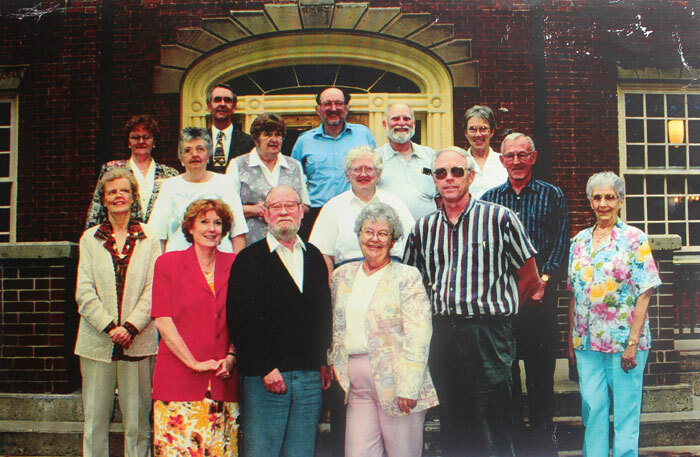 Middle Row: Bernice Bell, Mary Gallant, Inge Blackett, Mary Lou Harris, Bruce Barrett, Libby Smith. 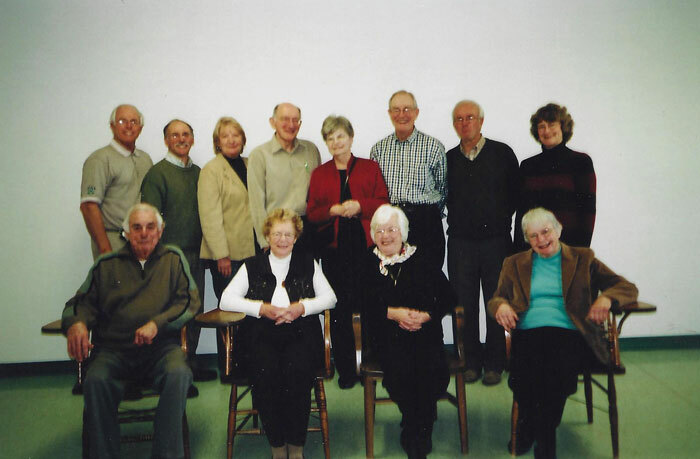 Back Row: Rita Saunders, Bill Robertson, Thomy Nilsson, Greg Hughes, Connie Auld. 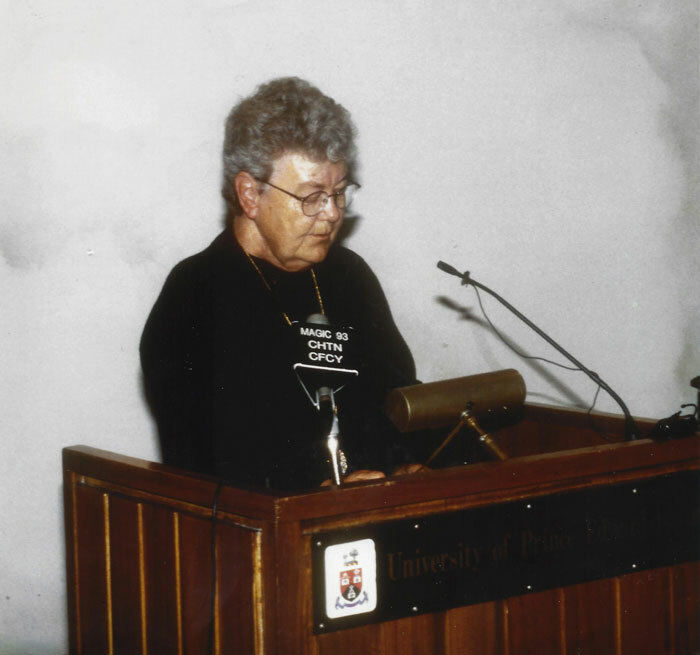 Olive Bryanton, The First Seniors College President. 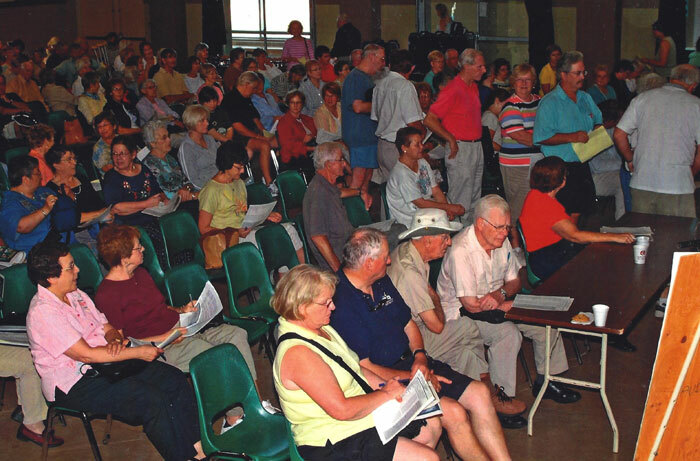 Requests for information about Seniors College of PEI concept continues from places such as Memorial and Simon Fraser universities. A Financial Review by an outside person is approved and conducted resulting in a number of operational improvements including new software and reporting style. The budget year was changed to July 1- June 30 to better reflect the activity of the College. 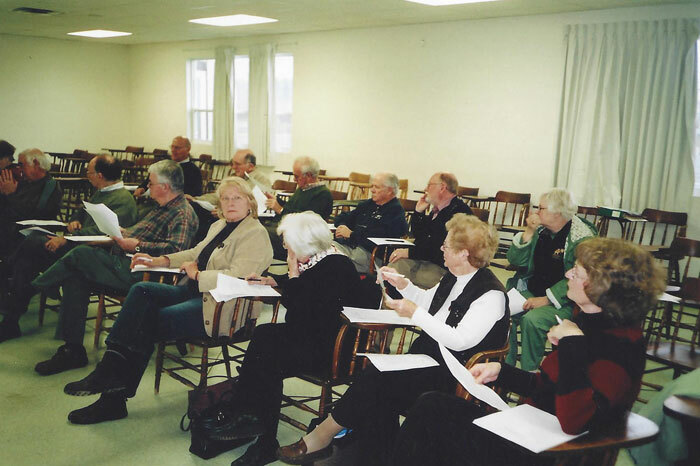 Seniors College receives New Horizon grant to improve communication and to implement tools to assist decision making. A Facebook page was developed and data retrieval was added to the registration system. Time of Our Lives art Show again hosted by the Guild for the art classes. 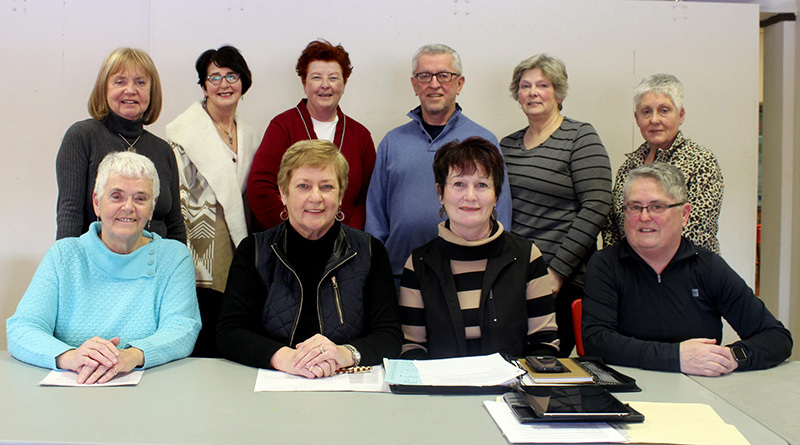 Seniors College becomes a member of the Charlottetown Chamber of Commerce. President Barb Mullaly passes away. Georgina Clow takes over as President. Upgrades to the Registration system completed as a result of the New Horizons grant including a new public page and the ability to add news items. For the first time Online Registration opens mid-week and 3 days before walk-in. Kin Consulting lead a Strategic Planning session with 20 attendees. 4 year Strategic Plan document finalized. 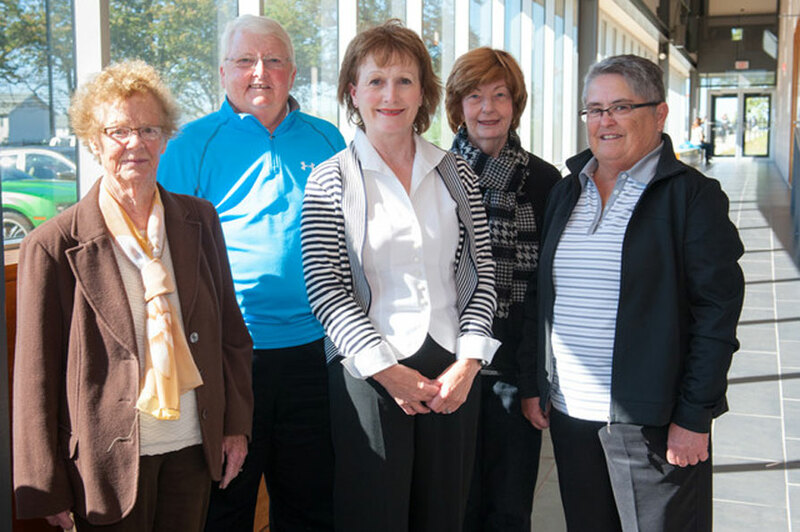 Ann Ramsay becomes the interim Provincial Coordinator. Charley Scott becomes Provincial Coordinator.